Bear Creek Bridge, Logan Co.
Records indicate this bridge was erected here in 1930, however, given that this is a pin-connected Pratt pony span, it may have been moved to this location, since this is such a late date for new construction of such a type of bridge. 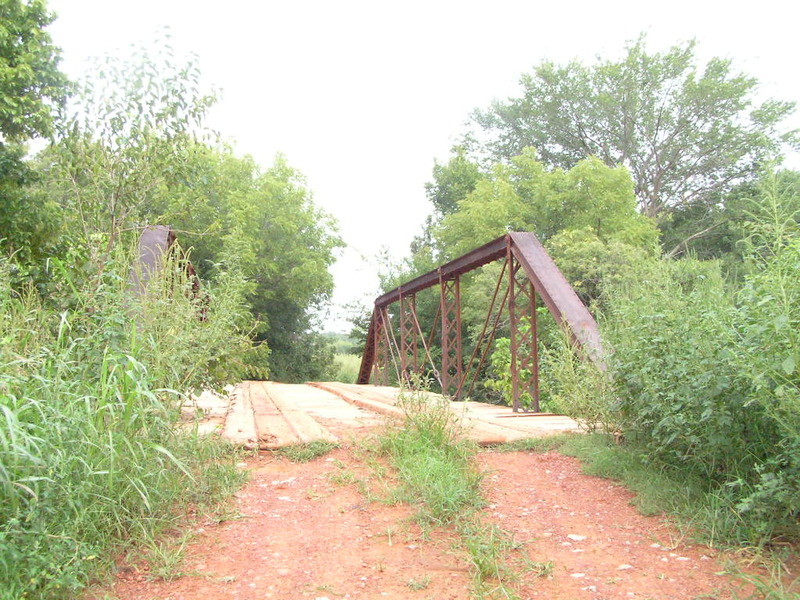 Below, the bridge sits at an elevated position relative to the approach of the road. The steel span is 75 feet in length. The road is Peebly Road. The bridge rests upon steel piles. 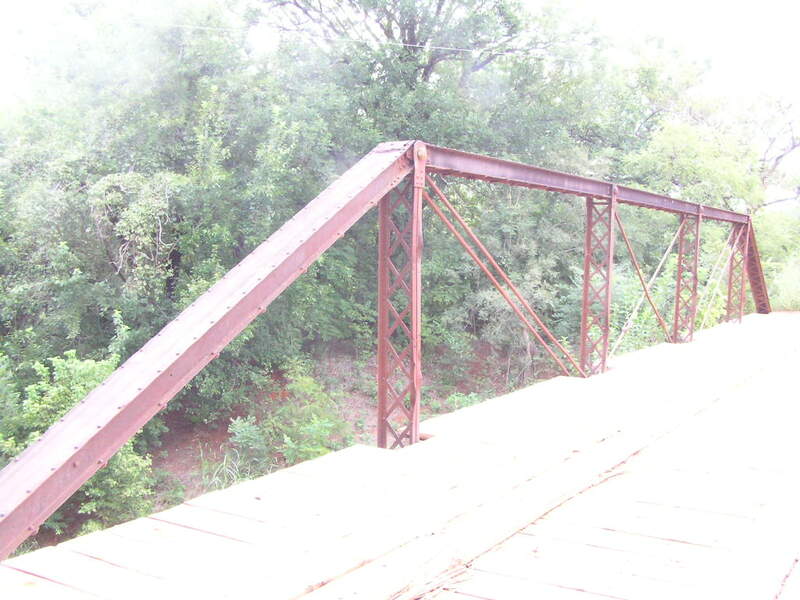 Below, view of bridge from the approach end. Note the approach is angled. This is probably not a problem as this is a dead-end road. Above, a close-up of the truss taken from the approach. The lower chord is made up of eyebars in the middle panel only, it is paired channels in the other. Above, a close-up of the steel truss. 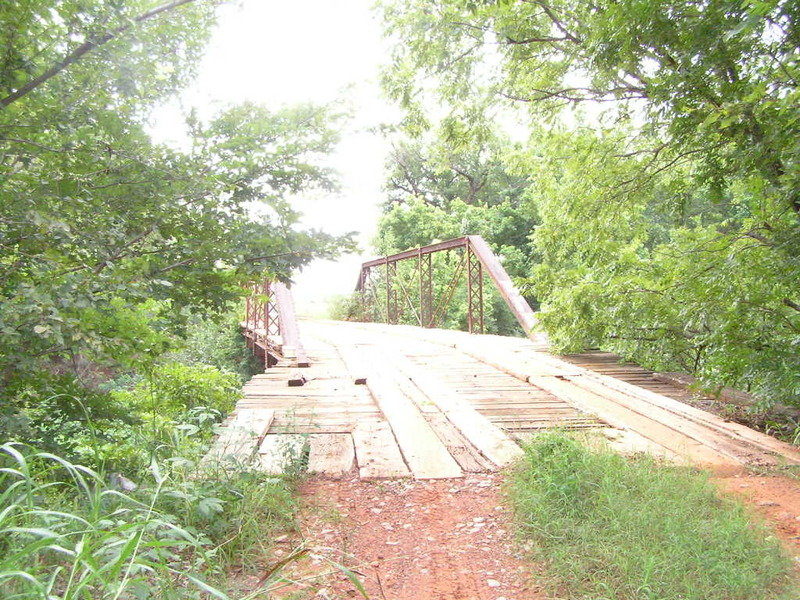 The bridge, being in a very rural area and on a dead-end road sees little traffic, and is well suited for this type of service. 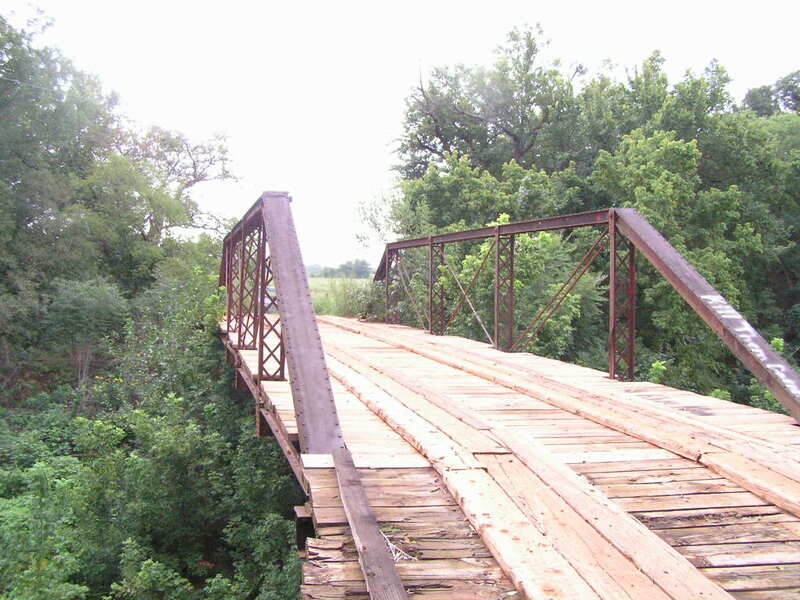 This bridge is no doubt a survivor from the great tin bridge builders era.